One of may all time favourite destinations is Ubud in Bali. Despite it quickly becoming a busy touristy hub, (damn the success of Eat, Pray, Love), it still manages to calm and nourish my soul. 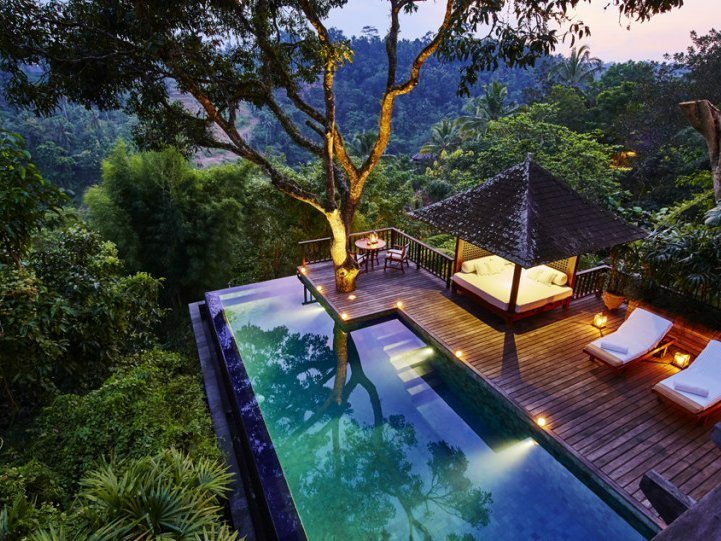 COMO Shambhala Estate is located near Ubud. The luxury resort and wellness retreat is next the River Ayung, where it boasts its own sacred spring revered by locals for its healing properties, while activities make exceptional use of the great outdoors. It is a true ‘Retreat for Change’ with resident experts including a yoga teacher, Ayurvedic doctor and nutritionist. The holistic, 360-degree approach offers signature massage therapies and beauty treatments. A state-of-the-art gym and outdoor activities such as hiking and climbing make the most of the Estate’s unique location. Cuisine is always nutritionally balanced while the residences, suites and villas suit independent guests, couples or families. It has won a plethora of awards including the 2012 WorldSpa & Wellness Awards in 2013 for ‘Best Destination Spa – Asia & Australasia’ and Conde Nast readers Spa Awards as ‘Best Destination Spa’.